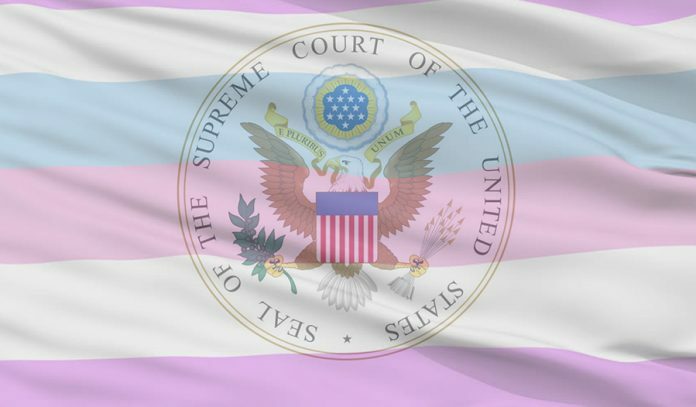 The City of West Hollywood responded to the U.S. Supreme Court’s Decision, which permits implementation of transgender military ban. The discriminatory ban prevent transgender people from serving openly in the Military with condemnation. The 5-4 decision to decline hearing transgender military ban cases and allow the Trump Administration to begin implementing a discriminatory plan to prevent transgender people from serving openly in the United States Armed Services. Currently, there are several lawsuits being considered in lower courts (brought by Lambda Legal, OutServe-SLDN, the National Center for Lesbian Rights, and GLBTQ Legal Advocates and Defenders) aimed at keeping the Trump Administration from implementing actions that would both discharge current transgender service members and prevent members of the transgender community from enlisting. Outrage and disapproval of a proposed transgender military ban has been expressed by both current and retired senior leaders across each of the four military branches, as well as members of both parties of the United States Congress. The City of West Hollywood has been one of the most outspoken cities in the nation in advocating for the legal rights of LGBT people. More than 40 percent of residents in the City of West Hollywood identify as lesbian, gay, bisexual, or transgender. The City of West Hollywood is one of the first municipalities to form a Transgender Advisory Board, which addresses matters of advocacy on behalf of transgender people in the areas of education, community awareness, and empowerment, and makes recommendations to the West Hollywood City Council. Through its Transgender Advisory Board, the City of West Hollywood regularly co-sponsors programming, which includes a job fair organized by the Los Angeles LGBT Center’s Transgender Economic Empowerment Project in order to connect transgender women and men with employment resources and opportunities. The City also recognizes Transgender Awareness Month and Transgender Day of Remembrance each November. For more information about the City of West Hollywood’s Transgender Awareness Month events, visit www.weho.org/tam. As part of its support of the transgender community, the City of West Hollywood has a Transgender Resource Guide available on the City’s website, which provides information about a variety of resources including legal, health, and social services, available in the Greater Los Angeles area to enhance and improve the well-being of transgender people. For more information about the City of West Hollywood’s Legislative Affairs efforts, please contact Hernan Molina, the City of West Hollywood’s Governmental Affairs Liaison, at (323) 848-6364 or at hmolina@weho.org. For additional information about the City of West Hollywood’s Transgender Advisory Board, please contact Bonnie Smith at (323) 848-6371 or at bsmith@weho.org.